If you’re looking for a TOEFL class or a tutor—be it in person or online—it’s important to know what exactly a good teacher is. There are thousands of teachers who offer TOEFL lessons but actually know very little about the test. It can be difficult to find a teacher who you are certain is going to give good advice and good practice material. These are the most important traits you should look for in a TOEFL teacher, whether you are a student seeking help or a language school looking for somebody to teach a TOEFL class. This one is very basic and obvious, but it’s extremely important, so I think it’s worth including. I don’t mean to say that a good teacher is always an older teacher. It’s possible to be an outstanding teacher with only a few years of experience. But if a teacher has less than a year of experience, they will definitely not be the best choice. 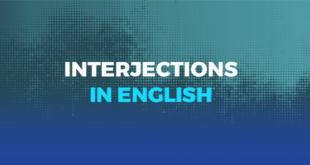 This is especially true for TOEFL teachers, who need to be good at teaching both English as a foreign language as well as the specifics of the test. Teaching English as a foreign language (TEFL) is tricky, because students must be able to understand—the teacher’s pronunciation and explanations must be very clear—but those students should also be challenged. It helps greatly to hear a teacher or tutor explain something when first meeting them. 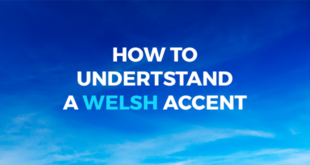 A short sample lesson can help show how skilled the teacher is at both explaining and simplifying their language. But that is a skill that very many English teachers have. There are fewer teachers who also know the TOEFL test well. Balancing the two is key, because a good TOEFL class will be balanced too. After all, for students to improve their scores, they need to learn about the test and improve their general English skills. You might imagine that’s a normal question when starting with a new teacher or during a job interview, but it’s surprisingly rare. And that’s a shame, because it’s an important question. A teacher who has actually taken the test will understand the challenges and the experience much better. What’s more, having actually taken the test means the teacher can answer questions like “How much scrap paper will I get?” more confidently. Every teacher relies on their material. Practice tests, worksheets, and classroom activities are important parts of all lessons, including those on the TOEFL. If a teacher is using new material, they will not be as comfortable and may not know which parts of the material are more valuable. A very good TOEFL teacher will already have informed opinions about what the best TOEFL books are and will have other ideas for TOEFL resources beyond just the lesson book. If a teacher has only used one book or doesn’t have strong opinions about what is good or bad in a TOEFL book, then they probably don’t know the test very well or what problems students might have with it. The first four points on this list are the things a teacher needs to be good at teaching the TOEFL. This final point is not really separate from the other points, but it deals with what can make a teacher not only good, but fantastic. This is where the best advice comes from. A teacher who understands why answer choice B is correct can explain why it’s correct, and then the student can learn from that explanation. A teacher who understands even more — who understands how the test-makers create incorrect answers — can explain not only why B is correct but also how to identify the wrong answers when a student isn’t sure. Similarly, a teacher who understands grammar, pronunciation, and vocabulary issues can be helpful in training for the speaking section. 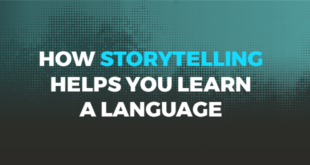 But a teacher who knows what the graders expect can tell a student exactly how to structure the answer and how to take notes in preparation for speaking. That level of test knowledge is extremely valuable. It’s hard to judge this knowledge and skill in a teacher, but the first four points in this list are a big help in doing so. Make sure you know their experience, their teaching style, and their choice of material in order to find out about how well they really know the TOEFL. This post was written by Lucas Fink, resident TOEFL expert at Magoosh. 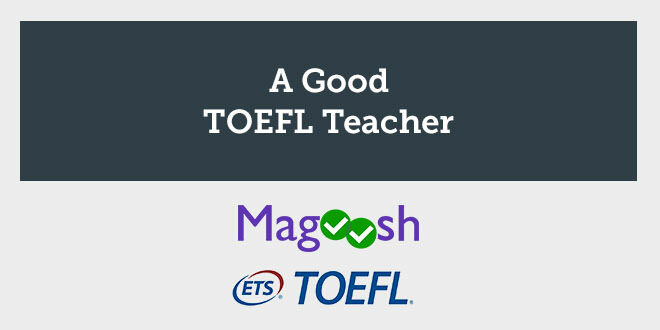 For more advice on TOEFL prep, check out Magoosh’s TOEFL blog. Is your current TOEFL Teacher good? @abaenglish and @magoosh know it!